I’m excited to announce we have a guest post today from Shawn Coomer who is a miles & points enthusiast who also is a successful Amazon Seller. He helps to run the very popular Miles to Memories Blog and corresponding Facebook group. Take it away Shawn. In my experience the average reseller works hard to minimize costs and maximize profits but often overlooks one key thing, their payment method! 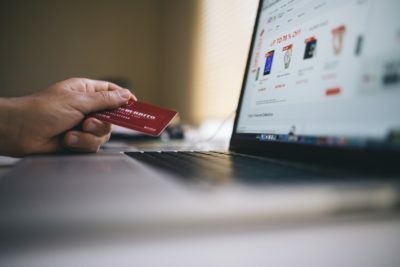 While credit card products and rewards programs can get a bit tricky, learning a little bit about them and formulating a strategy can pay off big. My name is Shawn Coomer and I am the Managing Editor of Miles to Memories. I am a credit card and travel loyalty program expert and I write about tips, deals and strategies to help people maximize their rewards and travel the globe for pennies on the dollar. I am also a reseller on Amazon and utilize these same strategies to maximize my returns. Every reseller should have a credit card strategy. Putting all of your purchases on whichever card is in your wallet can cost you a lot of money. What if you spend $20K per month ($240K per year) on goods and are earning just 1% less in rewards than you could? Over the course of a year that adds up to $2,400 lost and that might even be a conservative estimate. Your credit card strategy can be as simple or complicated as you want, but it should include more than just one card. At minimum a good strategy should include a card which provides a good return for everyday spend and card(s) which provide high category bonuses at the places you shop the most. With all of that said, rewards card carry high interest rates and you should never carry a balance on any of these cards. You will never get value from any credit card if you carry a balance and pay interest. The “Everyday Spending Card” is the backbone of any plan as it is the go to card for all purchases that won’t earn a category bonus. For most people, a card that pays 2% cash back with no annual fee will be the best option. The 2% return is simple, easy to remember and doesn’t require being locked into a proprietary rewards ecosystem. There are a two great no annual fee 2% cash back rewards cards available currently. Those cards are the Citi Double Cash and the Fidelity Visa Signature. These cards are great because they don’t carry a fee, but the downside is they don’t come with a bonus to entice you to sign up. If you are looking for a bonus, two travel rewards cards, the Barclaycard Arrival Plus and Capital One Venture also earn 2% cash back while also coming with a $400 sign-up bonus. The catch with both of these cards is an annual fee, however it is waived the first year, so you can try out the product and enjoy the bonus. Another contender for the Everyday Spending crown is the relatively new Chase Freedom Unlimited. It earns 1.5% cashback on all purchases which is not good, but if you also have a Sapphire Preferred or Chase Ink Plus (see below) then you actually earn 1.5X Ultimate Rewards points per dollar which may be worth more than 2% to some people. This card is only for those invested in the Ultimate Rewards ecosystem and I’ll talk later in this post about why you may want to be. Finally, there is another great card, but it will only work for some people. For customers who have a lot of money with Bank of America or who can temporarily move some money over, the Bank Americard Travel Rewards card is great. It earns up to 2.625% back everywhere if you reach the top tier of the BofA Preferred Rewards program. If you are interested in finding out how this works, I covered it in detail in this blog post. This card is the one I use for my everyday non-bonused spend. At this point you may be thinking that you would prefer to use your favorite airline or hotel chain’s card as your Everyday Spending Card instead. That is fine, but there is something you should keep in mind when doing so. Let’s assume the card you want to use earns 1 mile/point per dollar spent. You want to make sure that the mile/point you earn is worth at least 2 cents cash since that is what you could earn with one of the cards mentioned above. If that mile/point earned is worth less than 2 cents (and most are), then you are losing out and it adds up quickly. While the Everyday Spending Card is the anchor of a credit card strategy, specialty cards are the best way to really juice of earnings. Specialty cards generally have lackluster earnings on everyday purchases (you won’t use them for that), but they earn extra rewards in certain categories. These category bonuses range from 2X-5X per dollar depending on the card and category and can make a huge difference to the bottom line. While the best cards for you will depend on your spending habits and where you shop, here are a few really good specialty cards that I recommend and carry. 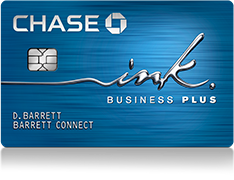 The Chase Ink Plus is a business card and is perhaps the most important card in my overall strategy. It earns 5X Ultimate Rewards points at office supply stores and on internet and cell phone purchases. Before even thinking about your reselling, consider how much you are spending on your cable, internet and phone bills. With this card you earn 5X times that amount. The points add up quickly and for many, the extra rewards on those bills alone will offset the $95 annual fee. While earning 5X points on bills is a nice side benefit, the real value of the Chase Ink Plus is when it comes to gift cards. Some gift card resellers code as “utilities” and earn 5X points as well. Specifically, Gyft (full price gift cards) and Gift Card Mart (discounted gift cards) code as 5X as does PayPal Digital Gifts on eBay. Purchasing gift cards from Staples & Office Depot/Officemax will also earn 5X points. There really are a lot of options. Unfortunately I don’t have time to go into their value in this post, but the Ultimate Rewards points earned by a Chase Ink card are worth more than one cent each and in some cases much more. They have the ability to transfer to partners such as United, Hyatt & Southwest and have other great uses as well. You can find out more info about Ultimate Rewards here in this blog post. 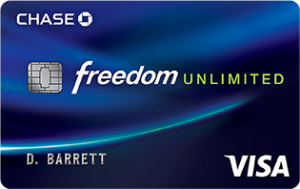 The Chase Freedom and Discover it cards both carry no annual fee and feature rotating 5% quarterly categories. These categories can vary significantly and each card earns the bonus on $1,500 in spending per quarter. Sometimes these cards give great opportunity, especially when the bonus categories for the quarter aren’t available on other cards. • The cash back earned with Chase Freedom can be converted into Ultimate Rewards if you also have a Sapphire Preferred or Chase Ink Plus thus increasing its value. • Discover it has a very good portal that often pays more than other portals. • Discover doubles all cashback earned the first year for new sign-ups, meaning you can actually earn 10% in cashback the first year for your bonused spend. The AT&T Access More card was perhaps the best overall card for online arbitrage since it gave 3X Citi ThankYou points for most online purchases. I had planned to include more information about this card in this post, however it has recently disappeared and as of now there are not any known working links. This is definitely a card to look out for if it comes back and I have covered my thoughts on it in detail here. I rack up many thousands of points each month by using my AT&T Access More card. Not having a credit card strategy for your reselling business can be costly. As with anything in life, you can slowly adapt and change until your strategy maximizes your spending, but you should probably do something. Sticking with the same old plan of placing all spending on a single card will no doubt be convenient, but that convenience will likely cost you money. In some cases a lot of money. You can find the current best sign-up offers for all of these cards along with more information on each of their features, benefits and need to knows on this special page I have setup for readers of this post. Check it out here. Thanks for reading and please let me know if you have any questions. If you’re not in the FBA Sourcing Simplifiers group on Facebook, you’re really missing out. So, before you leave be sure to check out the group here FBA Sourcing Simplifiers. This entry was posted in Credit Cards, Travel Hacking and tagged Credit Card, Travel. Bookmark the permalink.